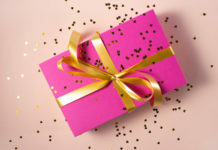 We’re going for the cute today so we rounded up the cutest stuff for nurses on Pinterest and in nurse forums. Whether you’re going to nursing school or clinicals, the fact of the matter is, you’re going to war. And if you’re going to war, you have to be sufficiently armed with… kawaii stuff! 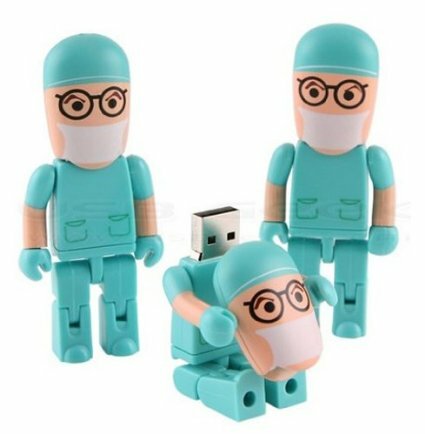 Kidding aside, little details like these – cute stuff for nurses – can give you that morale boost in the middle of a tiresome day. 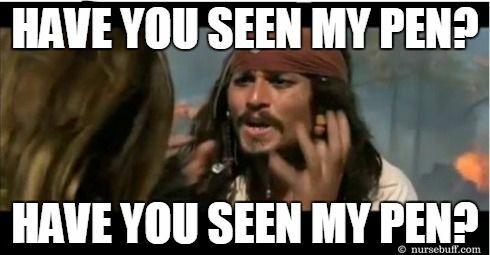 At the least, you’ll make new friends with colleagues and patients when they ask you where you got your stuff from. 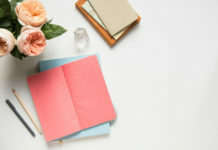 Our NurseBuff staff is composed of self-professed stationary addicts (yep, we even took that Buzzfeed test and got “utterly obsessed”) so this article gives us the perfect excuse to scope out some nifty stuff for nursing students. Utility scissors are a must-have for nurses for when you need to cut gauze, tape, clothing, bandages, and so on. This HERE titanium utility scissor ranks first in School Safety and First Aid in case you were curious as to what’s the popular choice out there. 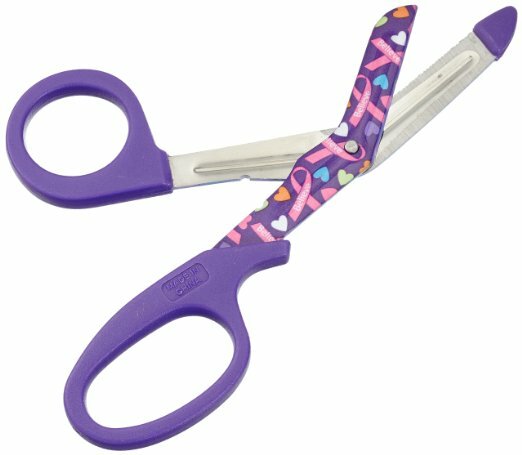 If you like the color purple, you might want to have these Prestige utility scissors in your toolbox. These are rather small-sized and can fit in your nurse pocket. They can also autoclave for sterilization and can cut through cast padding, ace bandages, patient clothes, and other unwieldy material. Also comes in black and pink. Make sure to purchase pens that write well and that won’t dry up on you mid-use. Note-taking is very important in the classroom as well as on the hospital floor. Don’t invest in expensive pens though. Nurses losing pens is an urban legend and memes have been borne from it. 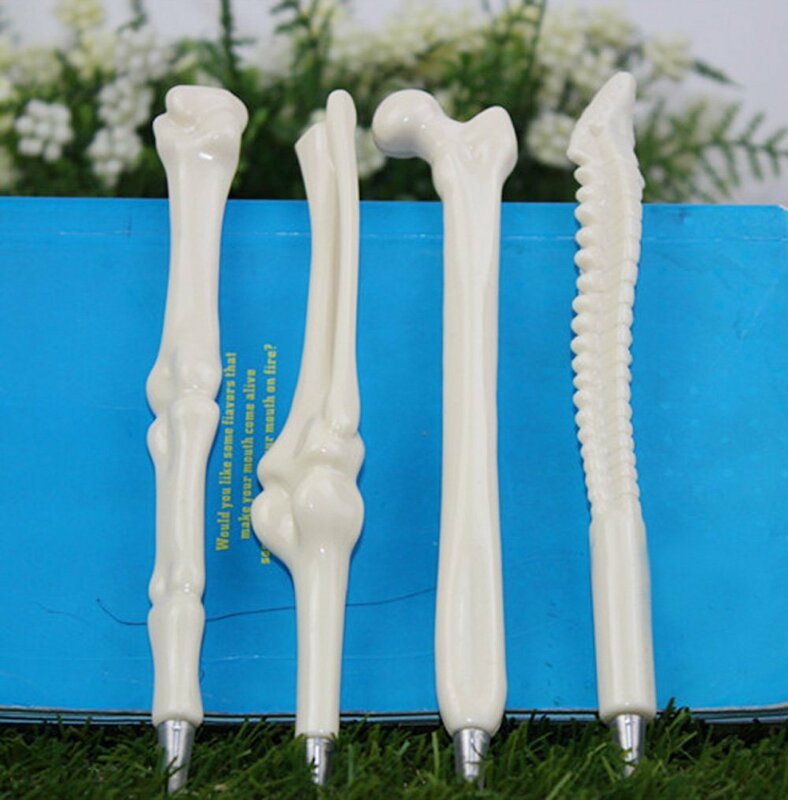 Check out these fun bone pens. If this isn’t a conversation starter, we don’t know what is. 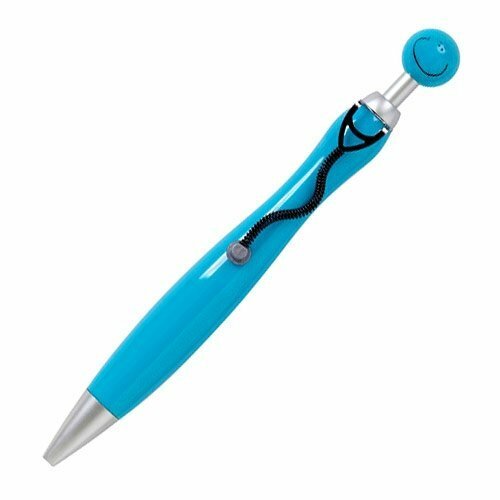 Aren’t these stethoscope pens simply adorable? We guarantee that when you whip one of these babies out, you’ll get interested comments from your nurse friends and patients alike. These pens are a great icebreaker. They also make good gift ideas for everybody at work. FYI, the ink on these pens is black. We honestly weren’t sure what these were when we first saw these spiky green things. But that’s the whole point of it! 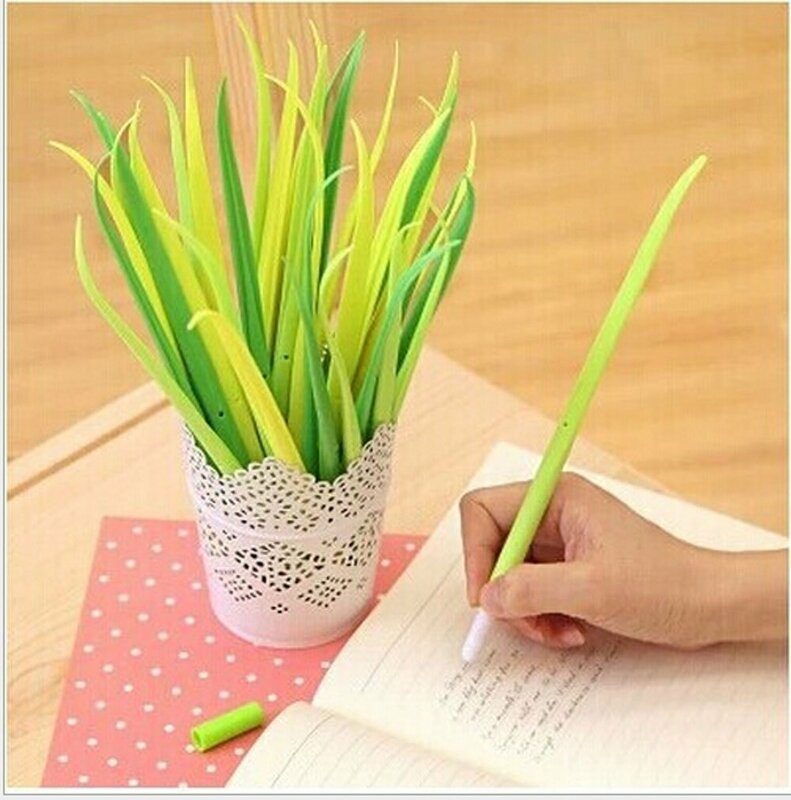 If you’re scarred for life from people stealing, er, “borrowing” your pens, try these grass pens. They’re actually pens disguised as fake plant leaves. What mad genius! And as an extra bonus, reviewers say they write surprisingly well and the rubber makes them easy to grip. They’re also a good idea for parties where you have a writing activity. Highlighters and colored pens are nurses’ best friends. 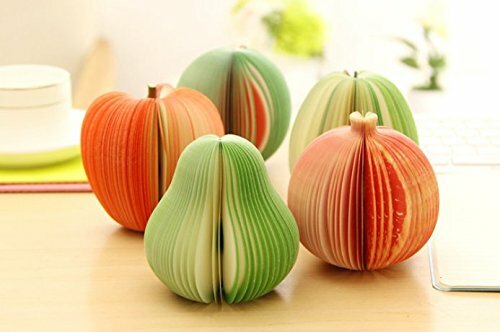 If you use pencils though and love plants, you might find these pretty cool. 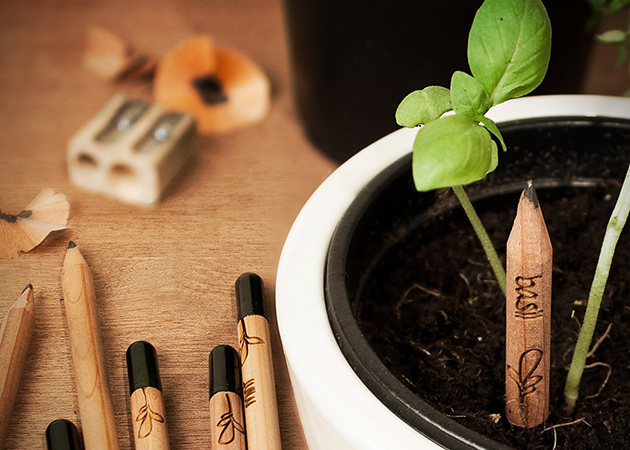 These super high quality No.2 pencils grow into plants. When your pencil is too short to use, just plant your used-up pencil to get any of these herbs: basil, cilantro, dill, mint, parsley, rosemary, sage, or thyme. These pencils usually germinate in two weeks give or take. 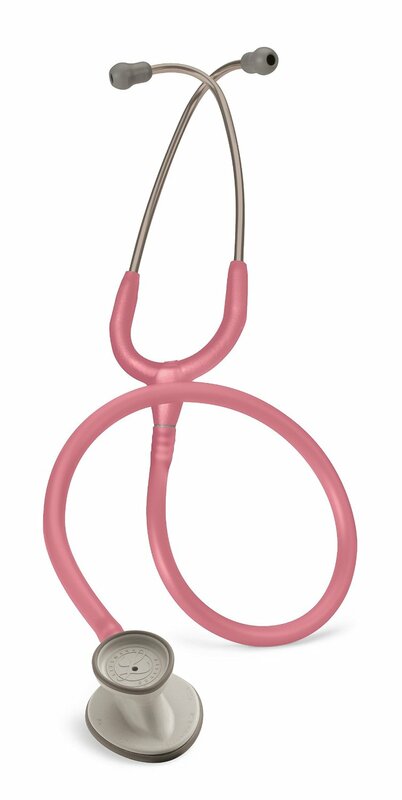 This Littmann nursing stethoscope (aside from coming in this cute shade of pink) is a great buy. The quality is really good, reviewers say it REALLY is lightweight, and it’s a great alternative if you don’t want to buy an outrageously priced stethoscope. This comes highly recommended by professionals in the medical field. The Prestige heart stethoscope (like the Littmann above) comes with some impressive customer reviews. Again, it’s a stethoscope that is value for money (oh wow look at that price!) and the sound when listening to heartbeats is very good too even for ageing doctors or paramedics who listen through layers of clothes. 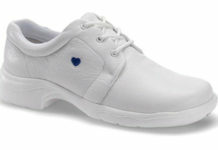 Another plus of this particular model is the heart. 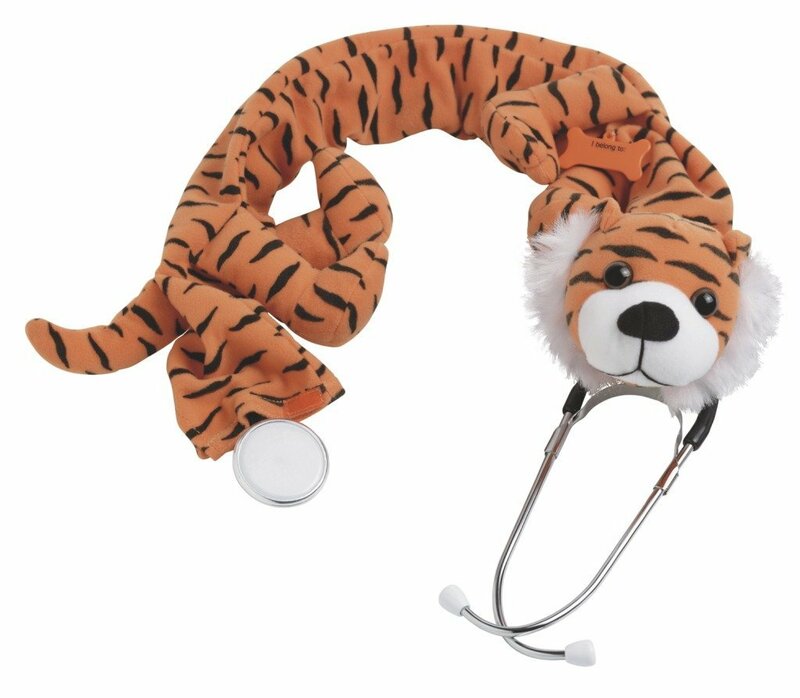 People who’ve used this prestige heart stethoscope talk about how it puts patients at ease and makes dealing with the little ones easier. Now here’s another cute and awesome alternative for those who work in Pediatrics. It comes at a really great low price and the sound quality is good. 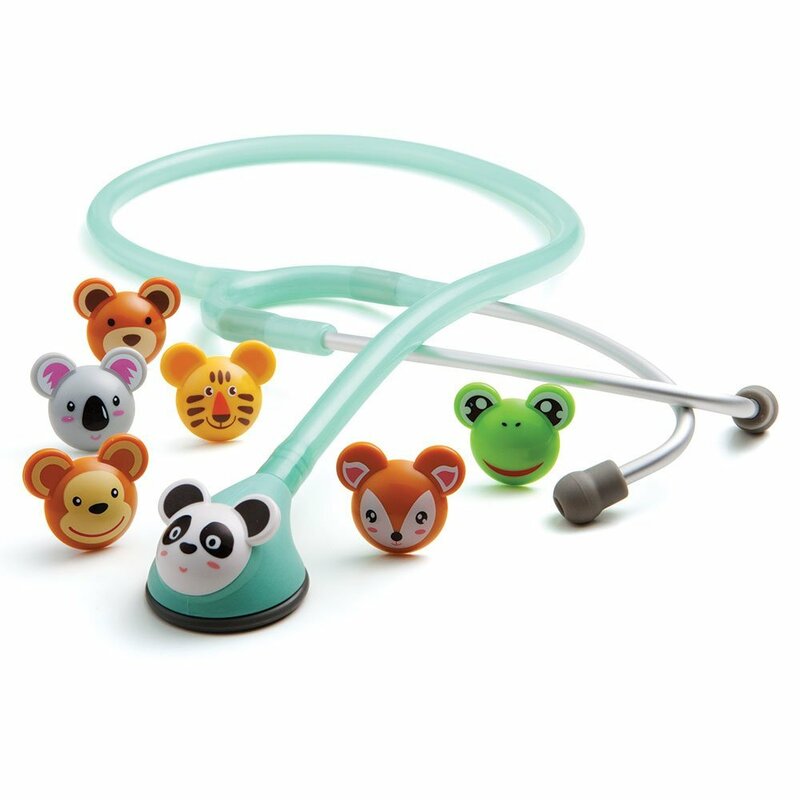 Unlike regular stethoscopes that might frighten little kids, this stethoscope is a lot of fun with seven cute interchangable animals. When the children are agitated or nervous, just say that the panda (or whatever you’re using) wants to listen to their heart. 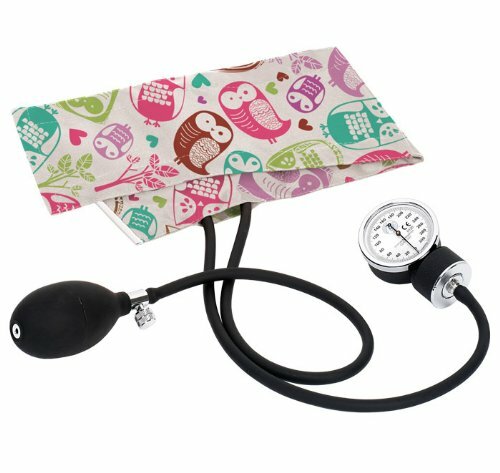 We’re not sure if coming in with a funky sphygmomanometer like this upgrades you into a fashionista nurse but we think it’s close. 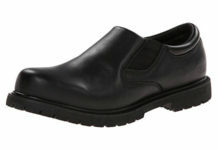 Great design with good quality and at an inexpensive price point! Another cute specimen! Can you see how exciting it would be to mix and match all this cute stuff for nurses? 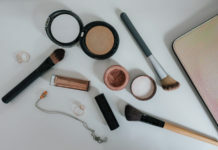 If you want the complete package, check out this kit. 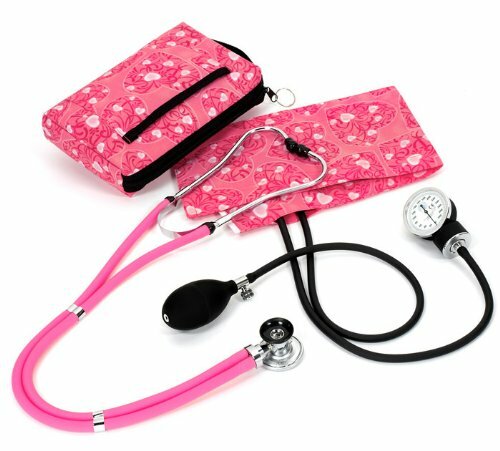 It comes with a sphygmomanometer, a stethoscope, and a really cute container to place everything in. 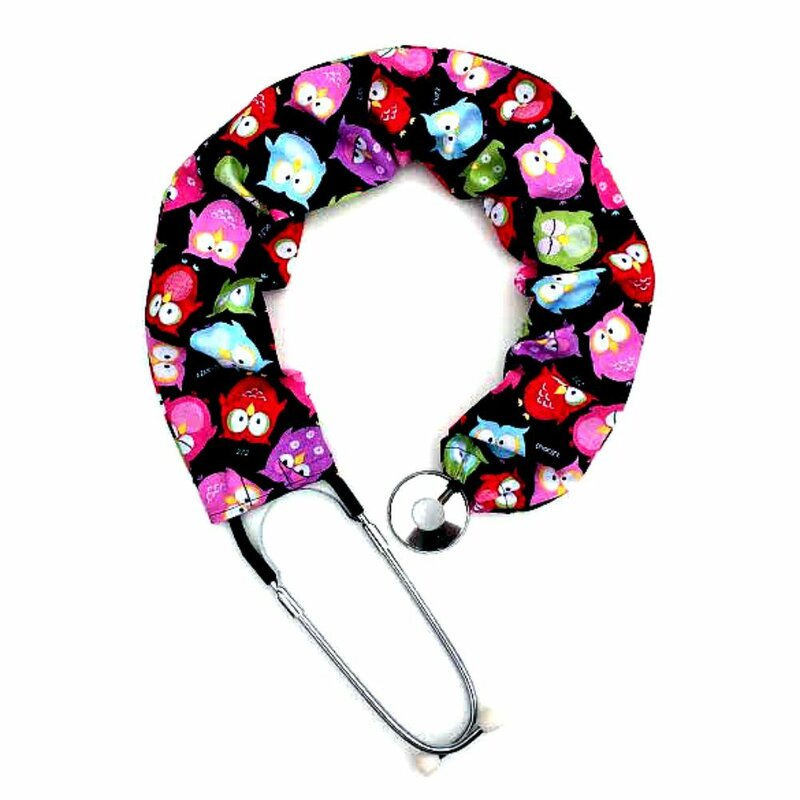 Stethoscope covers aren’t for everybody but if you’re a nurse who is partial to them, check out these cute designs. 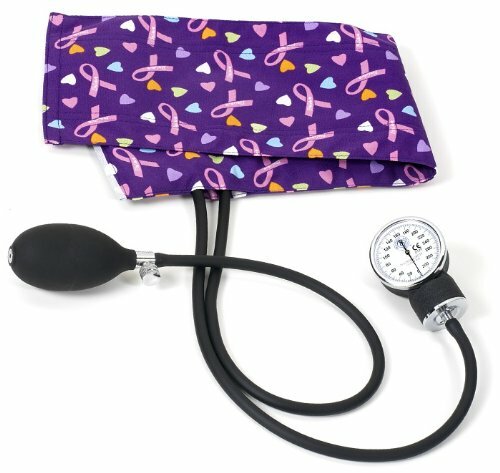 This stethoscope cover has a multi-use design. It has a two-way pocket and a utility strap. You can use the pocket to carry small nursing stuffs like pens and alcohol prep packets. The Happy Puppies design is perfect for dog lovers. If you’re not into dogs but rather owls, check out this handmade stethoscope cover. Reviewers say these covers are a good fit and the patterns look even better in real. It’s a tiger! (We kinda worry if sanitary though.) This comes in bear, dinosaur, and spotted dalmatian. Nurse badge holders are a great way to liven up your uniform. After all, you wear your uniform day in and day out all year round. A variety of nurse badge holders helps change up your look. 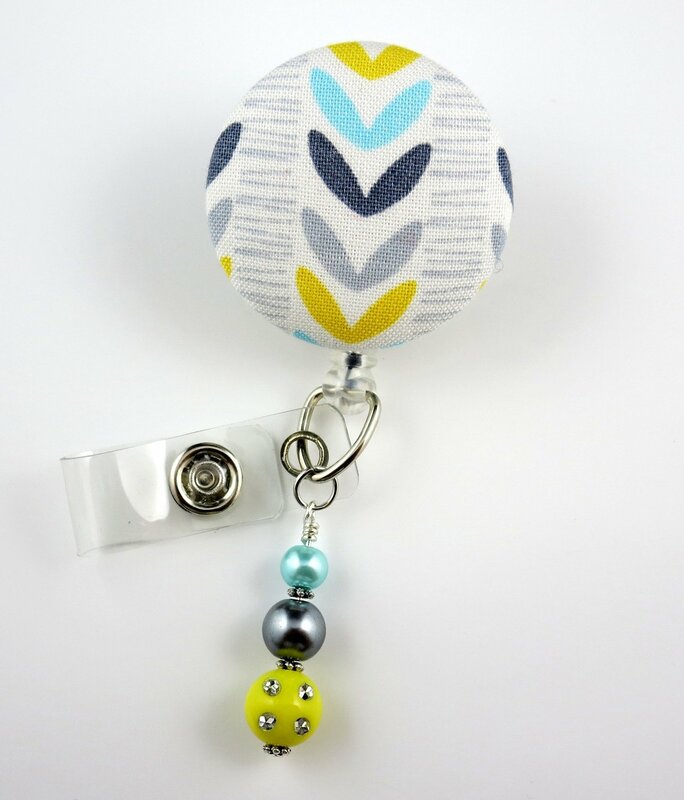 This is a very cute and tasteful nurse badge reel. It should go with most nursing uniforms and scrub suit designs. A yellow rubber ducky! I suppose it’s a visceral feeling and reaction to something from our childhood. 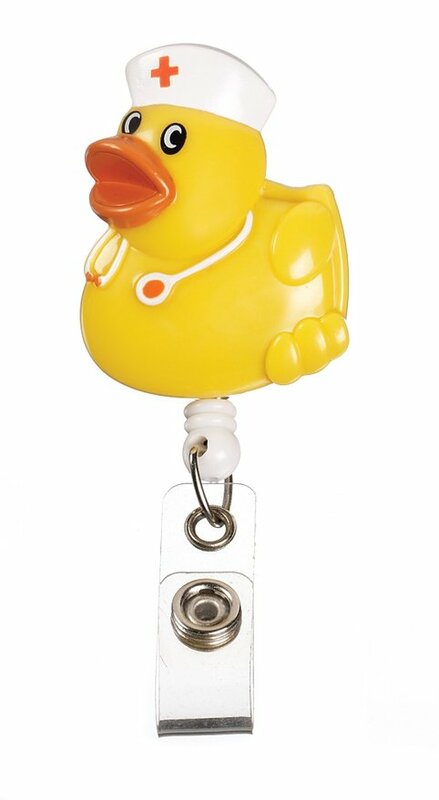 This badge holder would be perfect for pediatrics nurses. Stethoscope ID tags are another way to accessorize your nursing stuff. However, watch out for falling parts (like from charms with bling) or accessories that make your stethoscope more challenging to clearn. Remember, sanitation first before fashion! 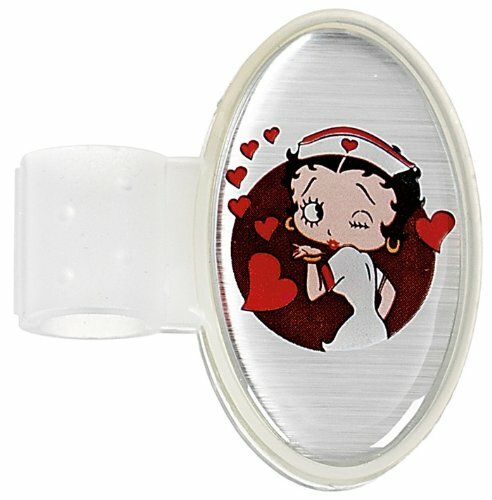 If you’re a fan of Betty Boop sass, you might find this stethoscope ID tag interesting. 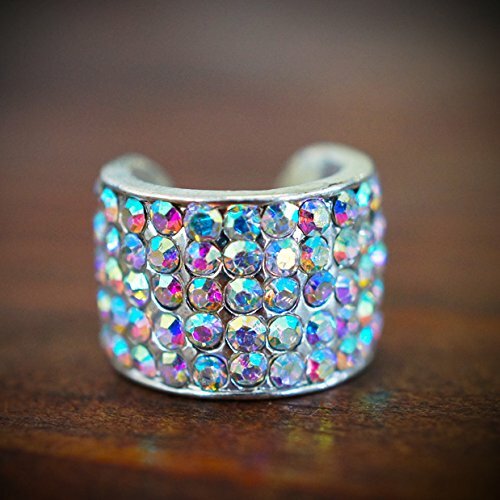 As a rule, we don’t post anything with bling as we often get reports that the stones invariably fall off. However, this crystal stethoscope charm appears to be the exception. It’s good quality, sturdy, and the irridescent color is simply gorgeous. 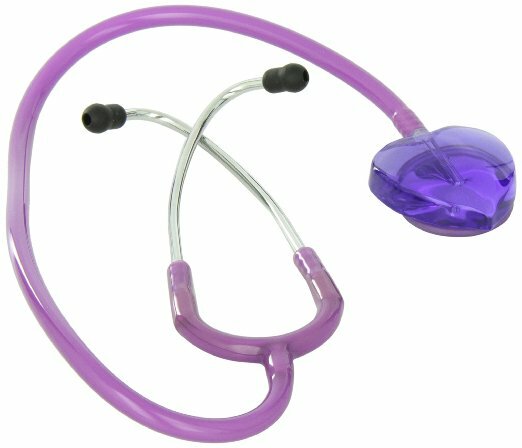 This charm fits all stethoscope tubes except perhaps the Littmann Classic III. You’ll have to make adjustments if you have this particular stethoscope. We love clipboards! They’re superb tools for organizing papers and print-outs that you need right away. This is a must-have for new nursing students. 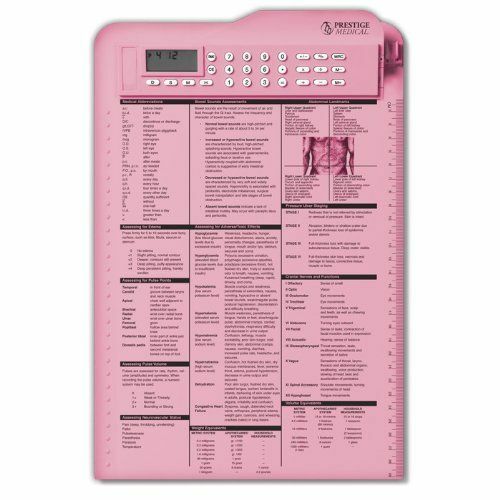 Apart from getting a calculator, a clock, and a timer, you also get a cool cheat sheet in the form of the diagnostic referencing information. It’s perfect for bedside tips! 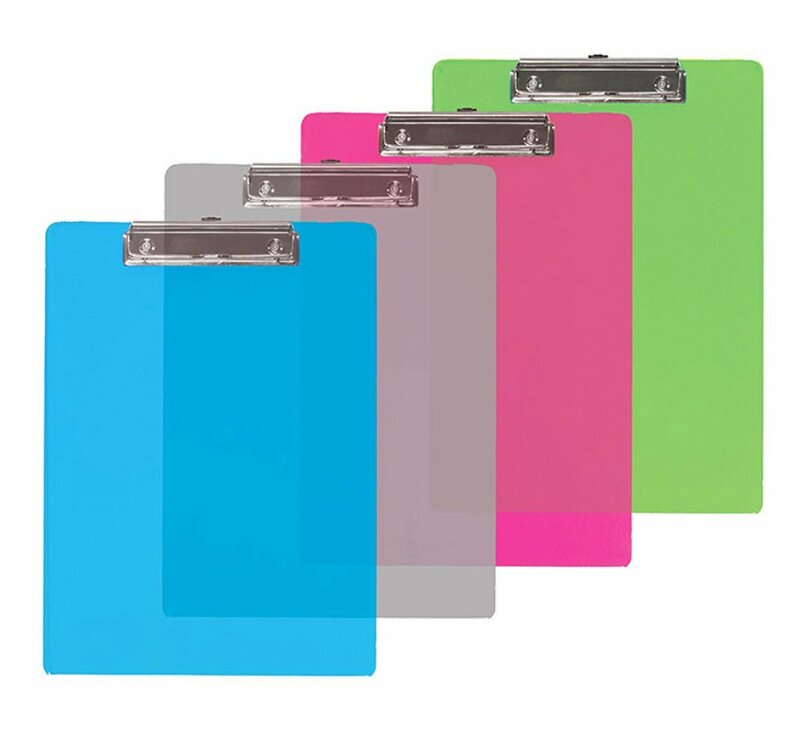 And if you want a set without the bells and the whistles, try out these simple clipboards. These sticky notes are very handy for nursing students. 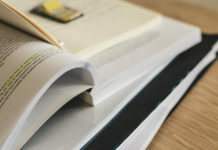 If you’re using a nursing binder or notebook (and you should! 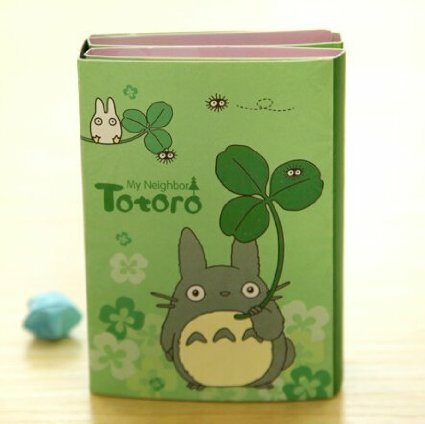 ), it would be a great idea to get yourself a couple of divider sticky notes. They’ll make your notes stand out and easy to find. 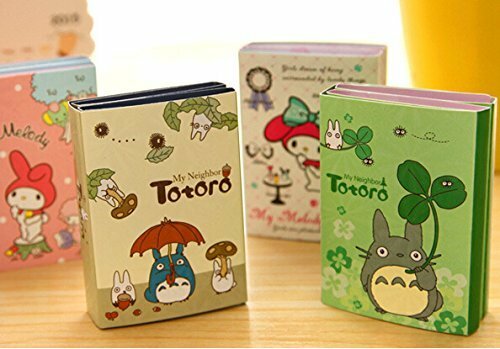 We’re huge Totoro fans. My Melody comes in a close second so we didn’t bat an eye in including this item on our list. Warning: Make sure to contact the seller and ask for the characters you want if you’re fanatical (like us) about what you’re gonna get in your package. More of their line-up… Aren’t they just adorable? Notepads are multi-purpose. If you use them with washi tape, they’ll double as sticky notes. Delish! 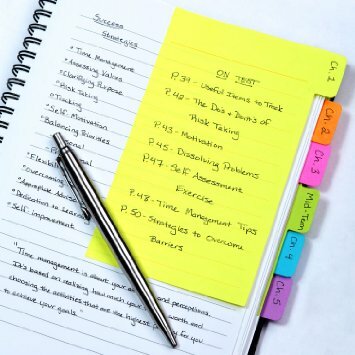 We recommend you choosing post-its with light faces so you can see your writing better. 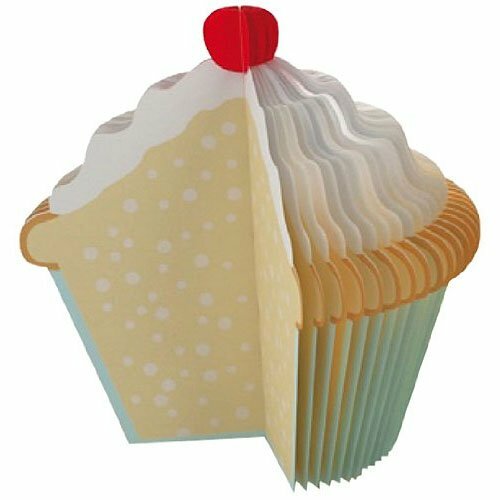 Keep things light and humorous with these funny notepads. Friends, have you discovered the wonderful world of washi tape yet? 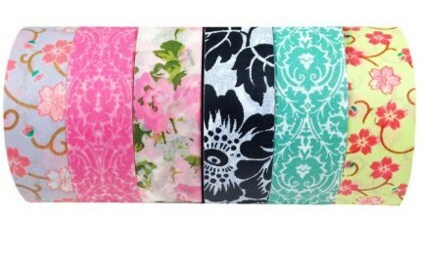 If you haven’t, check out these Japanese washi tape. Trust us when we say there are cuter speciments but we’ll leave those for you to discover. It’s always handy to have a USB in your bag. These flash drives are plug and play and have a fast data transfer rate. They only come in 8gb though but it should be enough for files. 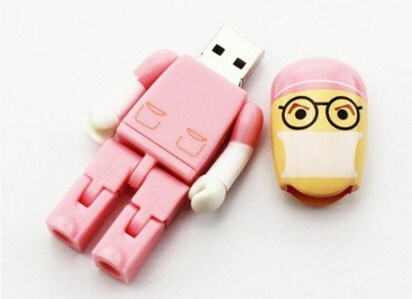 They’re a bit pricey for 8gb flash drives but the designs are too cute. Check out these guys in blue scrubs. And it comes in pink too for those who are partial to the color. 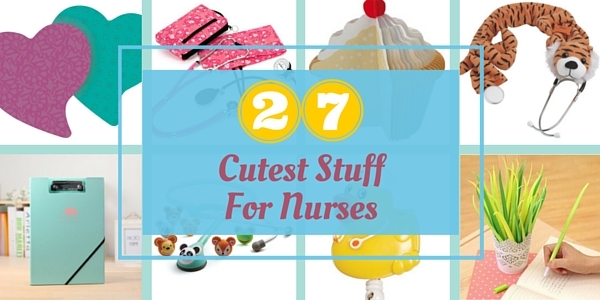 The above are just some of the cute stuff for nurses you can find online and in brick-and-mortar stationary stores. Collecting these cute school and nursing supplies will surely make nursing school more fun and enjoyable.